Old map by MONDHARE - L'Europe Divisée Suivant ses principaux Etats . . . Publisher: MONDHARE, L.J. / NOLIN, J.B. Title: L'Europe Divisée Suivant ses principaux Etats . . . Size: 7.6 x 8.7 inches. 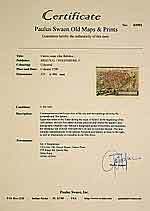 Condition: Good and dark impression, paper slightly age-toned, mainly marginal. 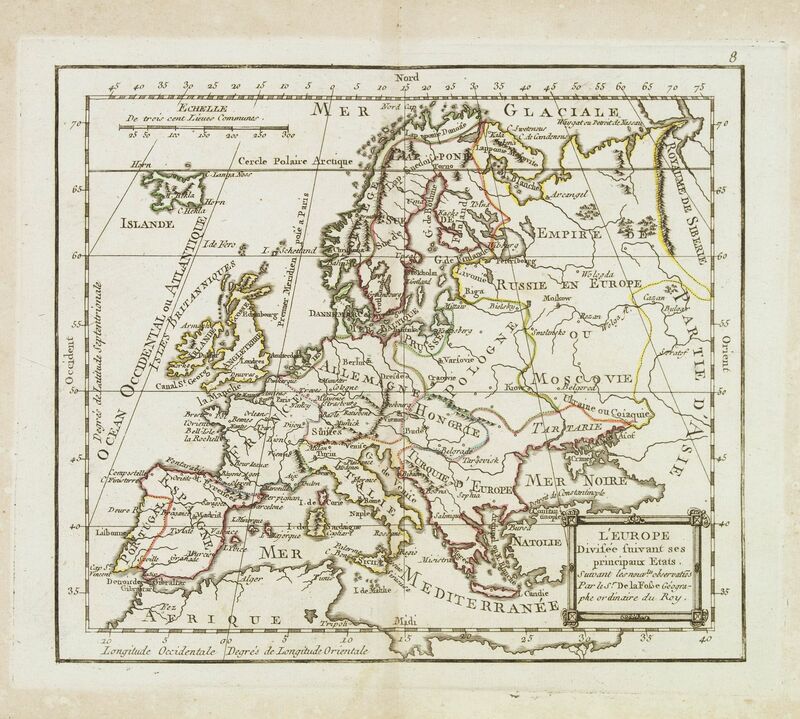 Scarce map of Europe prepared by de La Fosse and published by L.J. Mondhare for his Atlas Général a l'usage des colleges et maisons d'education..
Louis Joseph Mondhare was active in Paris and published several smaller atlases and re-published the wall maps of J.B.Nolin. Also the cartography of most of his maps in the uncommon atlas are after Nolin.